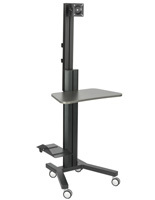 Browse for More Than Just Monitor Stands! 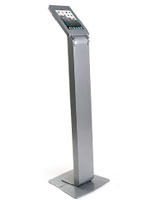 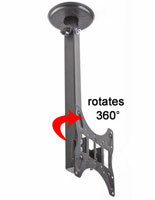 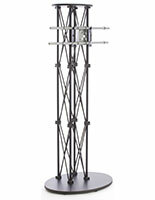 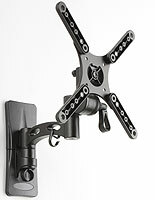 We sell a lot of display fixtures designed for supporting flat panel TVs. 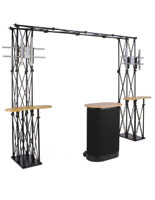 What you may not know is here at MonitorStandsNow we stock a varied selection of gear for many other electronic needs or requirements. 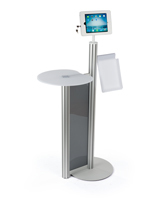 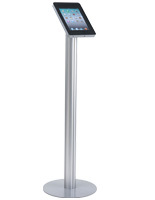 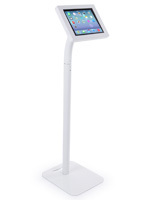 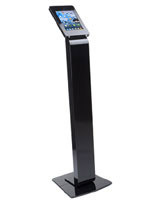 In addition to monitor stands, there are holders and enclosures for iPads, audio/visual carts, as well as charging stations for smartphone and tablet users. 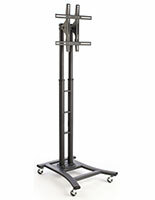 The collection of products highlighted on this page reflects what our customers are buying, and therefore are our most popular offerings. 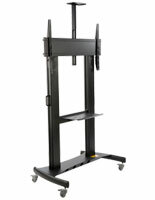 While one person's purchase may not be perfect for everyone, it's popularity nonetheless deserves a spot on this page. 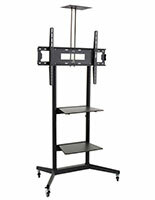 Most of our best selling TV stands feature rolling casters, which says how important a mobile monitor is to buyers. 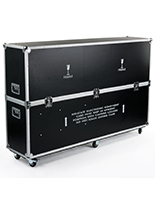 Models for trade shows are designed to be portable and come with carrying bags or cases for transporting. 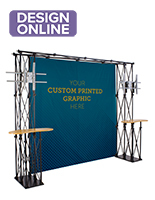 In addition to trade show TV stands, we offer bundled solutions featuring custom-printed wall backdrops and counters paired with a couple of monitor stands. 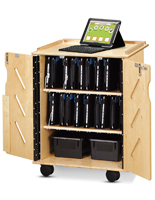 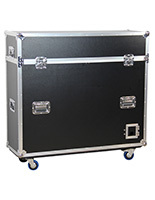 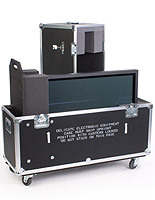 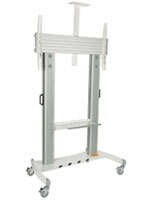 Other wheeled fixtures include audio/visual carts, shipping crates, and charge carts for small electronic devices. 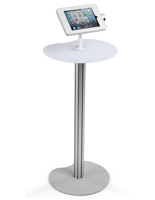 Our tablet mounts and stands provide the perfect accompaniment for displaying iPad and Android screens. 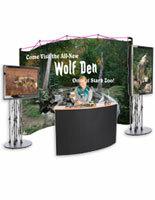 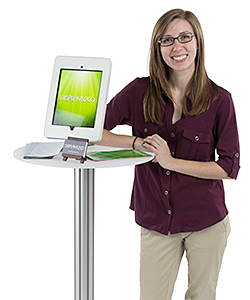 These are tailor-made for use at the trade show or perhaps in your place of business. 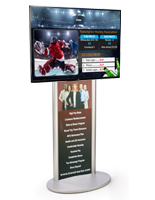 As you can see, our selection is varied and covers all aspects of digital display applications!